The Calgary Hitmen today announced Nathan Hollinger as the team’s new Athletic Therapist. 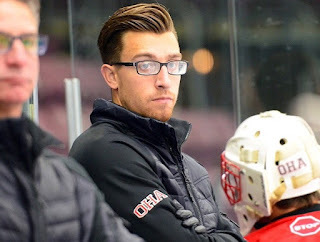 The Grenfell product joins the Hitmen after spending last year as both Athletic Therapist and Strength and Conditioning Coach with the Okanagan Hockey Academy (OHA) in Penticton, BC. He previously worked as the Head Athletic Therapist and Equipment Manager with the Yorkton Terriers of the Saskatchewan Junior Hockey League (2015-2017) and as a Student Athletic Therapist with the Regina Pats (2014-15). A graduate of the Kinesiology program at the University of Regina in 2015, Hollinger also received his Advanced Certificate in Athletic Therapy from Calgary’s Mount Royal University in 2014. Hollinger will replace Kyle Vouriot who is set to join the American Hockey League’s Manitoba Moose later this month as Assistant Athletic Therapist & Assistant Strength and Conditioning Trainer.